Hello there, is it possible to add our own character models? 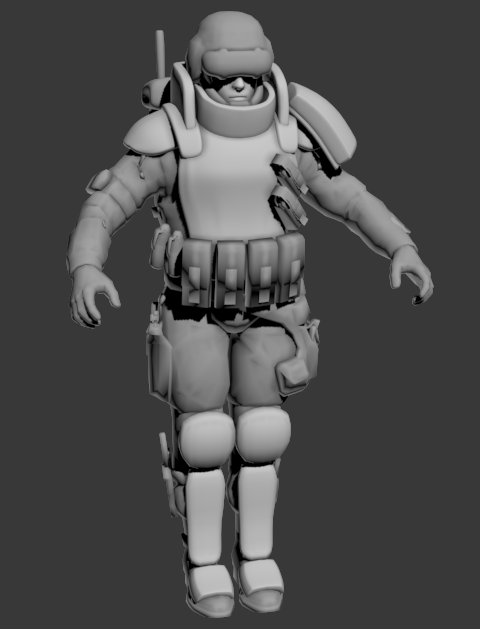 Primarily I wish to add new armor and character models for both the player, allies and enemies. I mod a few other games, and as I understand it, new character models generally need nodes or rigging, then exported with perhaps some type of plugin for 3ds max, blender or maya. Finally their converted to game format once setup correctly using the games official mod tools and compressed into an archive like .bsa or .zip which the game then access . Can something similar be done with AS? 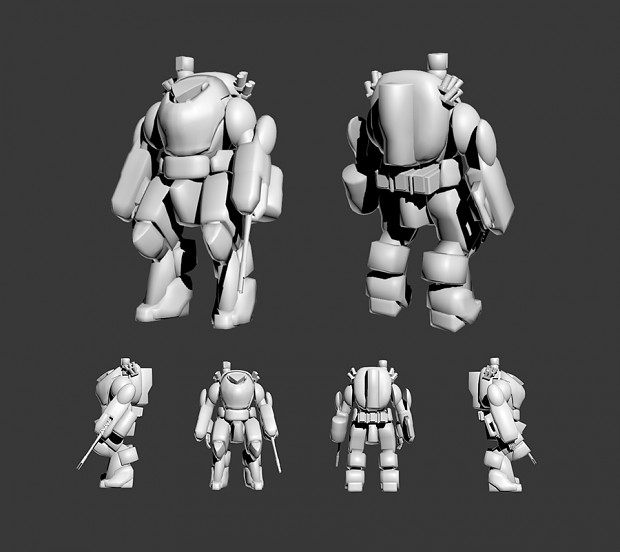 Lastly, using the existing cyborg models skeletons (and animation sets), would I be able to replace their model with that of a power armor similar to panzerkleins? 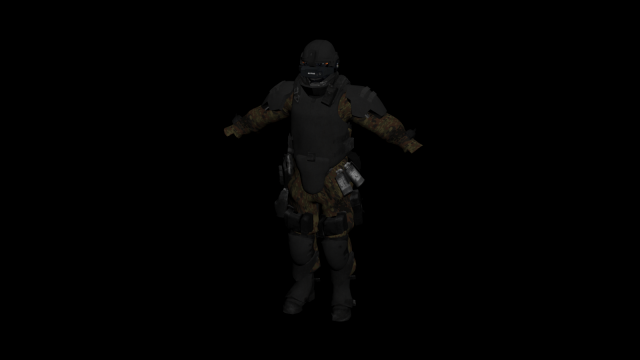 That way I can add a slow super heavy power armor to all races, just like those pk's from ss: s.
I once had the idea to replace some of the armours, but abandoned it due to the lack of skills needed for modelling human and armour models. I did, however, successfully replaced drone models. After you import it into Max - you`ll have to edit the model itself. You can add new objects, but you must make sure that these are attached to the present objects. 'Attach' is a function which makes a single model from several objects. Then just export it into .obj, open it with MEAAOV and export into game format. Note that you might need to adjust the model as there is some unusual 'shift' which can make you model appearing lower or higher than it should be. Hope this helps. I forgot most of the modding part for UFO, so i might be wrong with names of file extensions etc. Sorry for that. Oh. There is a problem with animations. I tried to find a way to add or edit animation skeletons, but found no way to do that. So adding new super-heavy armour might be a problem unless you replace Wargot PA model without touching its original animation. Hey thx for the response, so I need to add my new model on top of the original model, then join the model so its a single object? i understand you havnt done as modding in years, but i appreciate your assistance none the less! If i do this, wouldnt the original model clip though my new one when the character moves/attacks? Guess I could just scale the x and y axis of the original model down so it becomes like a stickman/ thin skeleton, then add my model on top of that to avoid clipping. Also, your saying i dont need to add any nodes, rigging or weight painting to the new model, just add it on top of the original? if so sounds refreshingly easy, on paper atleast haha. Im also gusing the same goes for weapons? Just add my new weapon over an original with a similar shape an join all objects as a single mesh? Is there a poly limit for armors and weapons? Not to worried about adding/altering animations themselves, as Ive found this is often the most difficult aspect of modding a game. 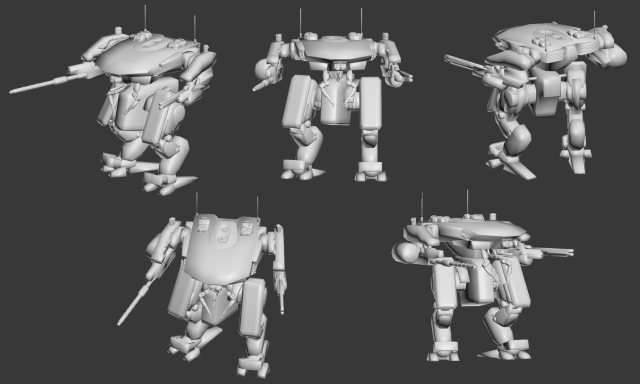 Instead I've found its simply easier to use the existing animations on new models. Lastly, how are you? From what I remember, your trying to launch a boardgame? Think I remember seeing something on indiegogo. Weapons are easy to add. Just make a model and export it. Copy/paste standard nodes from any other weapon model and reopen it in MEAAOV. There you can adjust positions for the nodes and re-save it. About the armour models - in game each model consists of several objects. Like arm, hand, body, head etc. You can remove as many polies from the arm as you wish toprevent clipping and then just attach your arm model to it. The same goes with other parts. I haven`t tried it, so i`m not sure if it will work. But my drones are working ok after import/edit/export, so i assume there wont be any problems with it.